Updates on Community Council activities, and other local news are included here. If you have information for us to share or a comment on any of the articles please let us know. 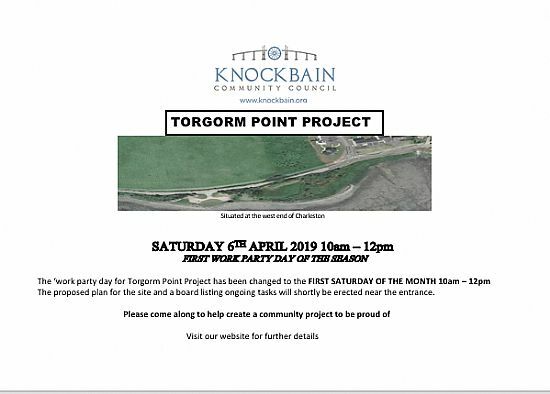 Main activities in the first month will include tree and hedge planting in the orchard area, and the preparation of planters in and around the picninc /viewing area, aswall as ongoing maintenance. Bring tools if you have them (loppers, strimmers, protective gloves), but more importantly bring yourselves. Come along. All welcome. Please take a minute to complete this short survey to help us map out vulnerable groups in our Black Isle communities. Interim results from the survey (to January) are available here. As you can see we need a lot more responses from Knockbain area to get a meaningful picture. 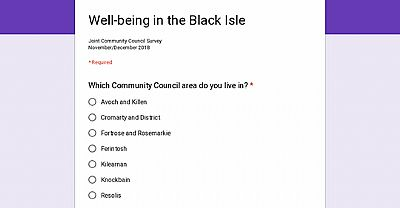 The survey follows on from discussions all the Community Councils on the Black Isle have been having with the Choose Life group hosetd by Fortrose Academy. 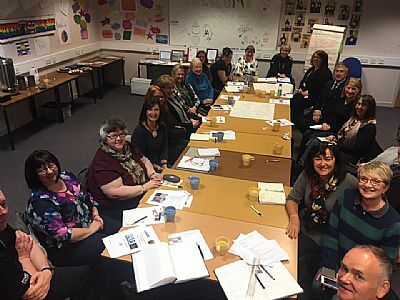 We met together at the end of 2018 and again last month to discuss what causes loneliness in our communities, and to look at what we can do together to challenge stigme, raise awareness of mental health issues and to map the community initiatives and assets already in pace across the Black Isle that can have a positive impact on people's lives. The survey and mapping expercise will help the working group to identify the gaps and improve resuilience and wellbeing for everybody in our commuities in the future. The Choose Life working group is made up of a variety of agencies including Police, Highland Council, NHS Highland, the Highland Alcohol and Drugs Partnership as well as a number of third sector agencies including HUG/Advocacy Highland/Support in Mind. Their key objectives are to reduce suicidal behaviour in high risk groups, and provide support to people affected by suicide and providing education and training. Police Scotland and our Community Partners in Highland are encouraging communities to provide support for people who need it after taking part in an informal "Community Conversation Café" event at Fortrose Academy in June 7 2018. The event was very well attended with people from all across the Black Isle and beyond dropping in to chat. 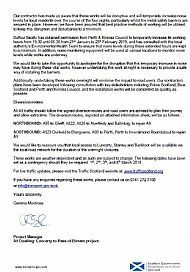 A report from the event can be found here. 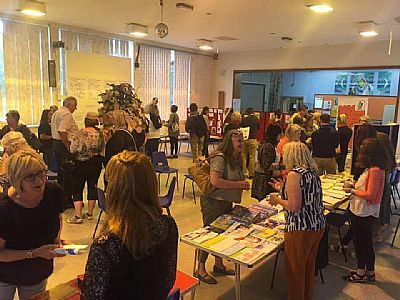 Inspector Judy Hill said: "This event is about giving people in the Black Isle community the space to come together and start conversations about their personal wellbeing and the wellbeing of those within their communities. 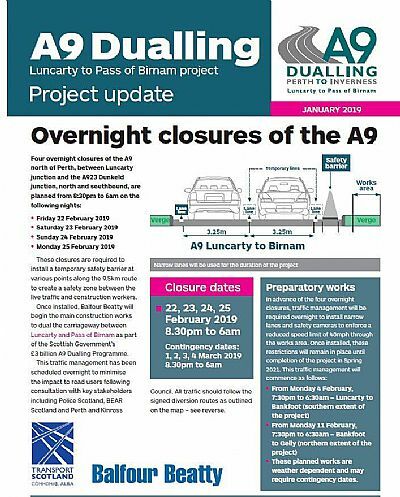 "We want to look at all that is good about the Black Isle and show that the communities themselves have so much to offer in terms of being able to support wellbeing and build a resilient community. "There are individuals in our communities now who need support. That support can come in many forms but ultimately it starts with a conversation, a simple 'Are you ok?' can make a huge difference to someone who is struggling. "We want to set communities on the path to wellness by building on existing strengths and networks." 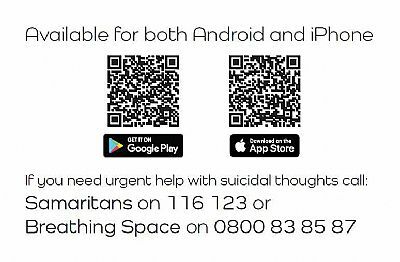 Knockbain Community Council are pleased to support this initiative, and the Prevent Suicide Highland Ap for mobile phones.Prevent Suicide - Highland App includes a section which helps you to help others - what to say, who can help etc. At the end of last year a get together was organised by Black Isle Tourism team, of local business people and interested parties, in the form of a work shop. Below is a summary of the ideas put forward. Are you an accommodation provider or a visitor attraction that charges a fee for your services to guests? 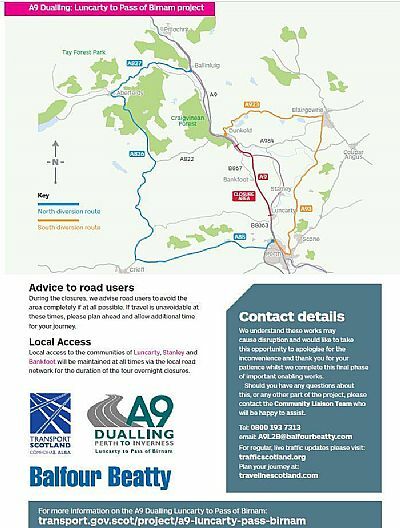 How would you feel about making an additional charge to contribute to the costs of maintaining and improving infrastructure in the Highlands? Scottish Government have produced a detailed consultative document which makes for interesting reading here. The deadline for contributions, views and opinions is this Friday 25th January. Make your voice heard by downloading this form and sending it along with your comments by email to tourismdiscussion@gov.scot. As always, the latest tourism figures for the Highlands are available on the Visit Scotland Corporate Website. Don’t forget to take part in the latest questionnaire for Q4, if you haven’t already. Here is the link to their survey. As a tourism team, we have long since decided we want to encourage visitors to the Black Isle to stay longer and ‘Savour the Unexpected’. It is exciting to see the concept of 'slow tourism' taking off across the highlands. It has been key topic at the conferences and expos we have attended in the last year, and was recently highlighted in a Press and Journal opinion piece on academic research at The Centre for Recreation and Tourism Research at West Highland College UHI. 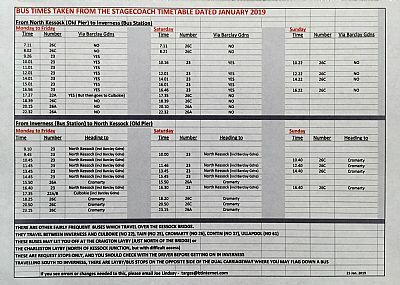 Additionally, the North Coast 500 team are working with the North Highlands Initiative (NHI) on ways to promote ‘slower’ exploration and extended stays among their users. They are also looking at creative ways to improve the public transport scene to make it a better proposition for tourists. 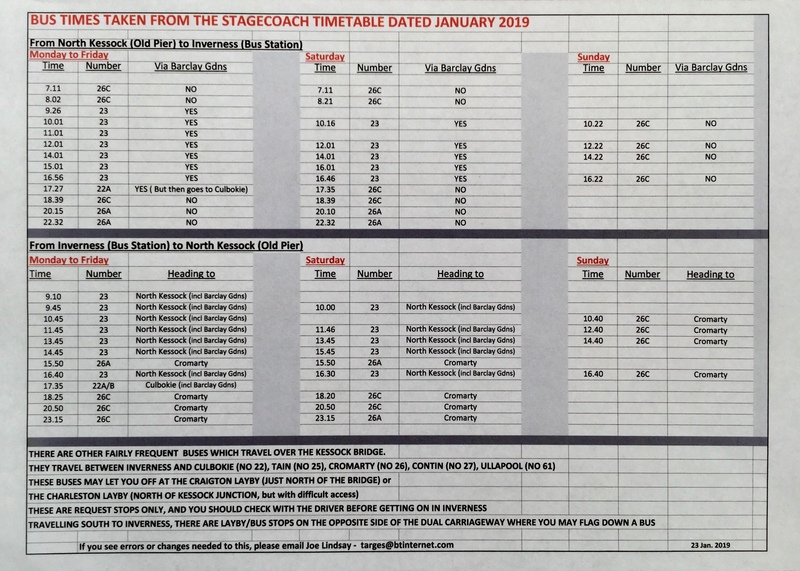 As an offshoot from the NC 500 route, in due course we will be asked to provide updated information and suggested itineraries for the Black Isle. The Black Isle Tourism team is made up of businesses, organisations and individuals around the Black Isle who have an interest in tourism and want to work together to improve the visitor experience and to raise the profile of the area. Activity is coordinated by a steering group of local member volunteers. Support from our members is invaluable in working towards our objectives so please do get in touch with any feedback, offers of help or if you are interested in joining us. Email tourism@black-isle.info. Don't forget to help us grow our social media pages by posting, liking, sharing and remembering to use the hashtag #BlackIsle. Our community councillor Sue Warnes recently attended the Black Isle Toursim Team meeting. 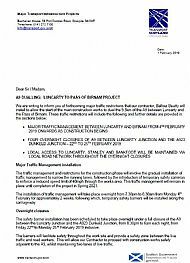 An update of the meeting is included in the newsletter bulletin attached here.